A kitchen tile is essential for the attractive look for your kitchen. Tiles can be integrated in the whole kitchen corners; Backsplash, worktop, wall designs and floors. The tiles are made of various materials and this variety is awesome to suit any personal taste and kitchen design. Ceramic tiles come with variety of sizes, shapes, colors and designs. It is perfect for the ones who have a tight budget. These tiles are durable and easy to maintain. Mosaic tiles are very artistic and creative to be installed in your kitchen. These ones allow you to combine some styles and colors together with Mosaic tiles. they are also perfect for Backsplash area. What about have splendid tiles from outside to be perfectly installed inside! 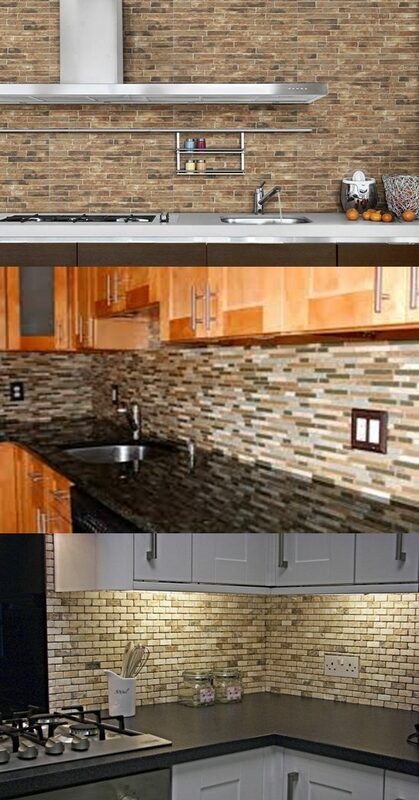 Brick tiles are so adorable and have variety of colors which can make your kitchen shinning. It needs of course some grouts even if they are not as much as the real brick so you shall choose its design wisely. Then there are the Marble and Granite tiles, the Marble is durable and affordable as a popular tiles too. But it needs to be careful and ready for its maintenance and cleaning tasks. As contrary the Granite is durable, long lasting and needs low maintenance. It suits perfectly all kitchen surfaces. Glass tiles are also popular for their beauty; they have variety of designs too. Glass is not limited for bathrooms as it is wrongly known. It is ideal also for countertop and looks so stunning like other materials “granite and marble”. Natural Stone tiles are very unique, pretty and elegant. Limestone fits well classic or modern kitchen. It is also popular as other materials in kitchens and bathrooms. Its colors contain the earthy shades from beige to brown and these colors match perfectly any decor and designs. After all there are others materials also, the above mentions are the most popular and creative ones. We wish this article is useful for you to create your attractive kitchen. What is 7 * 5?